On June 28, 2016, Google’s Project Zero Researcher Tavis Ormandy released a blog that published details of multiple critical vulnerabilities with various Symantec products. According to Ormandy, these vulnerabilities, “Don’t require any user interaction, they affect the default configuration, and the software runs at the highest privilege levels possible. In certain cases, on Windows, vulnerable code is even loaded into the kernel, resulting in remote kernel memory corruption. 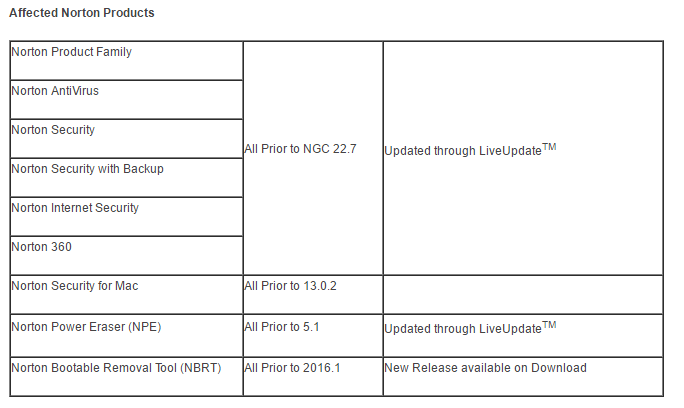 Symantec has released updates to affected products. 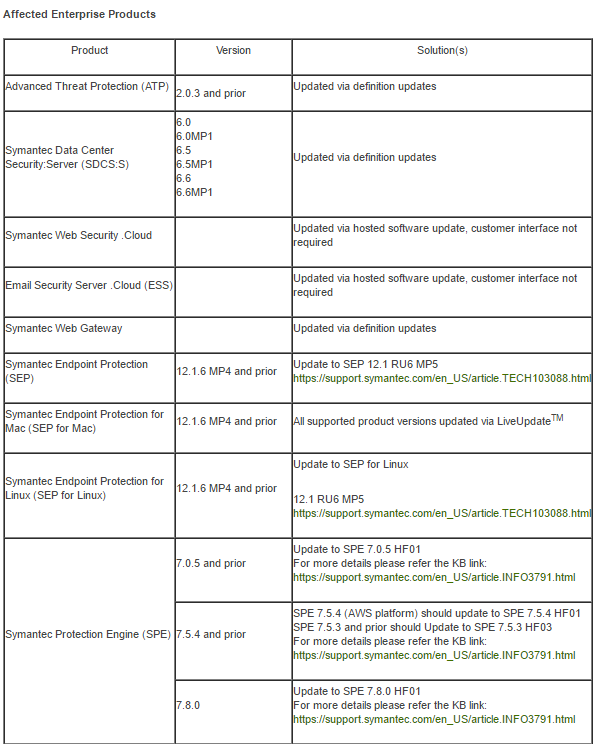 There are 17 Symantec enterprise products and 8 Norton products listed. The majority of these updates will be automatically installed, although some will need to be installed by end users or administrators manually. 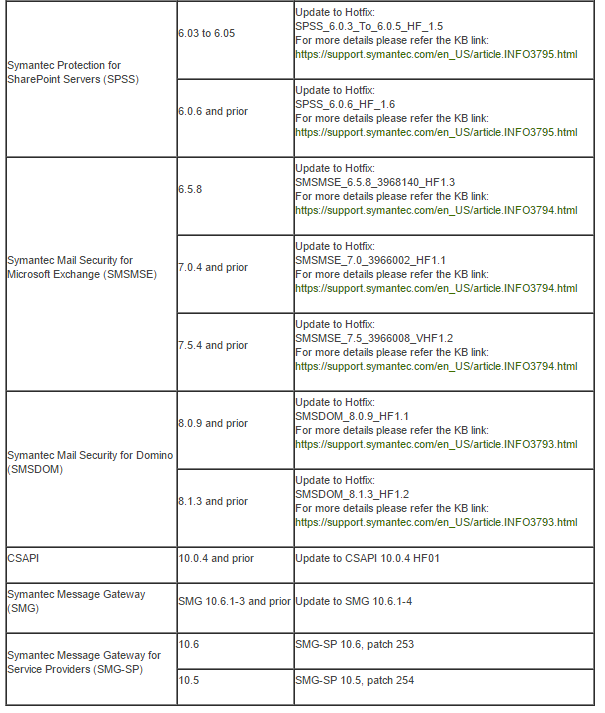 If you’re a Symantec customer or user in general, we recommend you check the following lists and update as soon as possible.